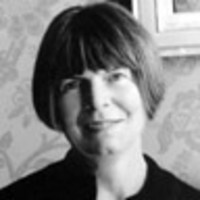 English novelist Margaret Drabble, who’s out with a new memoir, The Pattern in the Carpet, shares some of her favorite reads. Margaret Drabble's new memoir, The Pattern in the Carpet , has just been published. She is the acclaimed author of 17 novels, including The Red Queen and The Millstone , and of biographies of William Wordsworth and Thomas Hardy. She lives in England with her husband, the biographer Michael Holroyd.